The Anointed One issues the “decree” to rebuild the Temple & Walls. As mentioned previously, the Anointed One is a term used for a great King... where my particular focus has been on the United Nations Secretary General, however in today's market, there are many Kings (i.e. World Leaders). A legislative term carrying the full weight of authority from the Anointed One (World Leader) A decree that will mark the history books for modern day Israel. 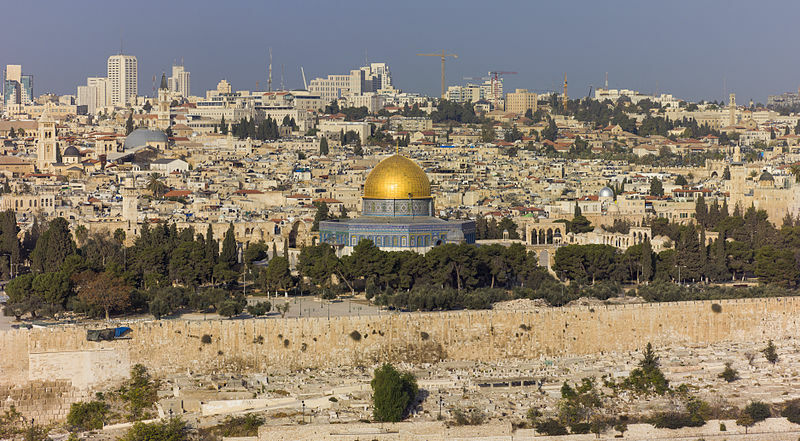 Most people tend to think of "Temple" as a literal structure with reference to King Solomon's Temple in Jerusalem. However this structural "Temple" has been rebuilt several times throughout history which has included the protective walls on the outside of the city (not necessarily around the Temple only). Metaphorically, "Temple" can also refer to the "people" of that city, (Jesus even referred to Himself as the "Temple" meaning that when people see him, they will know that God is with him). Subsequently, this could mean that the Christian Church may also have "Temple" connotations. Nevertheless, what I missed to say is that "Temple" can also mean "Jerusalem"... the Temple and Walls are representative of the city Jerusalem. A statement to all the world that God is with his people who live in the City of Jerusalem. This is recognized in the book of Revelation which clearly describes the "Heavenly Temple", the new "Holy City" as the "New Jerusalem", being made of various stones and all representing the multitude of faith individuals (Revelation 21:2). With this in mind, my friend argued that the Anointed One (President Donald Trump) has issued the decree (legislation) that the Temple and Walls (Jerusalem) are built (esteemed to all the world as the Capital City of Israel). I think there is some weight to this.... and if he is right, then this is fantastic news!!! But what this also means is that my other speculative predictions may very well be wrong... where I have sadly taken a more literal interpretative viewpoint from the events that happened around the time of Cyrus. Nevertheless, the year is still young... and we watch with anticipation.